When it’s time for you to get a new heating and cooling system for your home, the brand you choose is important. You should get a high-quality HVAC system from a reputable company. That’s what you can expect to get when you invest in a Trane HVAC system for your heating and cooling needs. Why Should I Get a Trane HVAC System? Trane HVAC systems offer exceptional quality, as well as a high amount of energy efficiency that helps you save money on your utility bills. These heating and cooling systems are also made by a trusted company that has been around for over 120 years. Trane products feature innovative designs and a high level of durability, which allows them to last for many years and withstand extreme temperatures. Trane also offers warranties on all their heating and cooling systems. Their warranty options include Base Limited Warranties, Registered Limited Warranties, and Optional Extended Warranties. All Trane residential HVAC units have a Base Limited Warranty that ranges from 1 to 20 years and covers parts that become damaged due to manufacturer defects. If you register your system within 60 days of installation, you’ll automatically be upgraded to a Registered Limited Warranty. This warranty ranges from a minimum of 5 years to a lifetime. The third type of warranty that Trane offers is the Optional Extended Warranty, which includes coverage for both parts and labor. Do I Have to Hire an Authorized Trane Dealer if I Want a Trane System? You don’t need to hire an authorized Trane dealer in order to get a Trane HVAC system. However, there are important advantages to working with an authorized Trane dealer. Only an authorized Trane dealer can provide you with an extended warranty for your new HVAC system. Having this type of warranty offers you added protection in case you have any problems with your Trane system. What Are the Benefits of Hiring a Trane Comfort Specialist? When you hire a Trane Comfort Specialist to install a Trane HVAC system at your home, you get the benefit of working with a certified Trane expert. 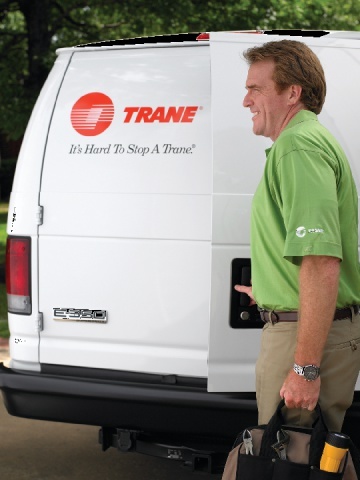 In order to be considered a Trane Comfort Specialist, a dealer must meet high standards for Trane product installation, employee training, and providing outstanding customer service. Trane Comfort Specialists must also stay up-to-date on the latest developments in Trane products and technology. This helps ensure that you get an HVAC company who is highly trustworthy and qualified to expertly install your Trane HVAC system. Trane Comfort Specialists are expected to show a strong commitment to continuing education and customer service. When you work with a Comfort Specialist, you’ll be getting help from a dealer who can help you choose the most efficient HVAC system for your home. Cote’s Mechanical is proud to be a Trane Comfort Specialist. Our company remains firmly dedicated to meeting all of Trane’s standards and staying updated on the latest technology and products that Trane offers. If you need more information on Trane HVAC systems or if you want to schedule an installation, contact Cote’s Mechanical. We’re ready to put our expert knowledge to work for you.